Italy’s export credit agency (ECA), Sace, has announced a number of initiatives to support Italian exports to Argentina. The ECA has made €700mn of credit available to Italian exporters wanting to sell to the newly-liberalised Latin American country. Credit availability will be enhanced by Sace’s collaboration agreement with Banco de la Nación, Argentina’s largest bank, to facilitate short and medium-term transactions between Italian and Argentinean companies, particularly SMEs. Sace has also reopened operations to support commercial transactions with Argentina’s sovereign counterparties, following the programme of liberalisation reforms introduced by the new president, Mauricio Macri, the country’s return to capital markets and its compliance with the debt restructuring agreement signed in 2014. According to the new Industrial Plan 2016-2020 issued by the Cassa Depositi e Prestiti (CDP) Group, Sace will become Italy’s one-stop shop for all activities concerning the support and promotion of Italian exports and investments worldwide, which were previously also carried out by CDP and its subsidiary Simest. 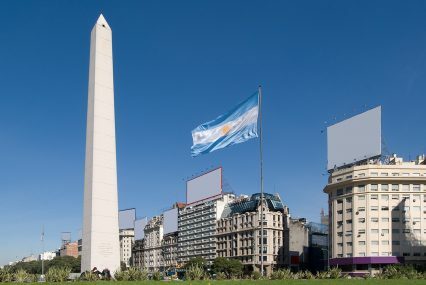 During the Italian mission to Argentina, the CDP Group committed to advising Argentinean institutions on financial initiatives to support economic growth. It is also helping the Italian ministry of foreign affairs in its negotiations with the Argentinean ministry of economy for the issuing of a state-aid loan to support a €42mn international co-operation project within the public healthcare system in Argentina. Italy is Argentina’s third-largest European trading partner, with over €1bn in Italian exports in 2015. Sace estimates that this figure will grow by 2.3% a year in the next four years, with particular opportunities in the agro-food, automotive, energy, mining, and infrastructure sectors.